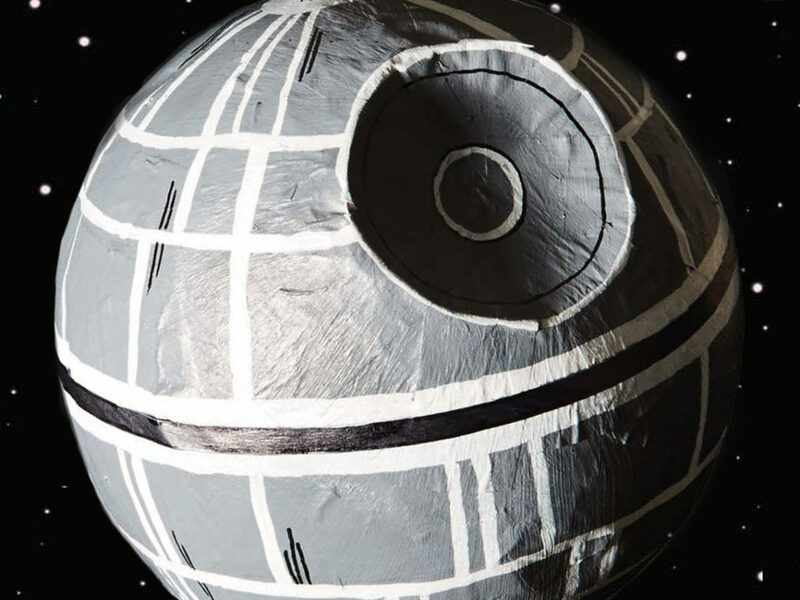 Sports in the Star Wars galaxy is just as diverse as we know it today on Earth. There are local sports, closely tied to native customs and practiced only by members of a particular species or region. Other sports are watched by billions of citizens in the galaxy and are being held in the most beautiful stadiums one could imagine. Some sports are dangerous and outlawed, others are peaceful favorites from the Core Worlds to the Outer Rim. One sector that is able to profit heavily from the popularity of sports is the gambling industry. Making a correct bet at who would win the Fire Mountain Podrace or what team would win the Nuna-Ball League could make you very rich. This certainly happens on planets controlled by governments that thrive on profits from gambling, such as the ones controlled by the Hutts. One of the most popular and dangerous racing sports ever is Podracing. The spectacular sport evolved from primitive races held with animal-drawn carts and races with so-called Hanno Speeders. The birth of modern Podracing took place when Gustab Wenbus entered a race with a special pod designed by a mechanic called Phoebos. Phoebos’ Podracer combined a repulsorlift pod with flaming jet engines, a combination that would propel Podracing into an incredibly fast and dangerous sport. The engines of most modern racers are connected to the pod by Steelton cables and the engines themselves are linked by plasma couplings. Some Podracers can attain a top speed over 800 km/h, so any crash is bound to have dire consequences for the racer. 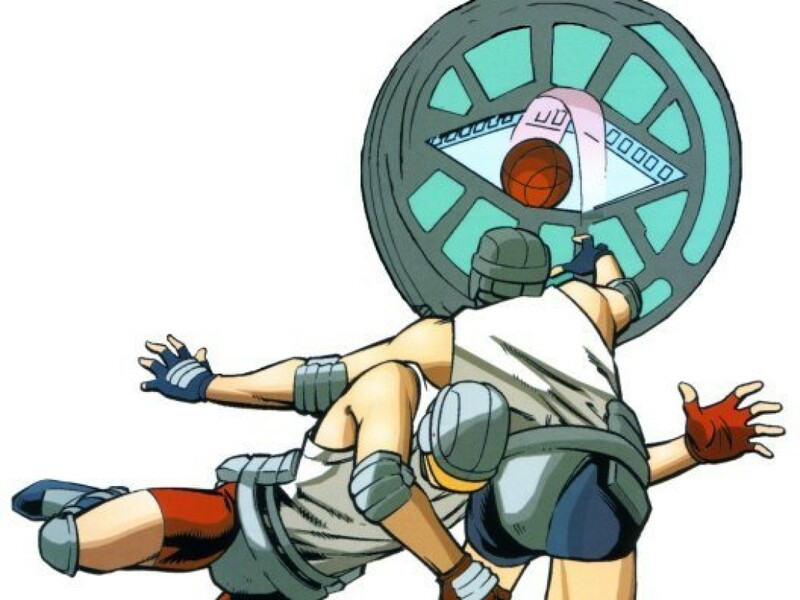 Because this sport requires extremely fast reflexes, it’s favored by a lot of non-human species with additional sensory organs (such as the Vulptereen), a smaller stature (such as the Aleena), or species with more limbs (such as the Xexto). A decade before the start of the Clone Wars, Podracing was still immensely popular on several worlds, some of which were controlled by the Hutts. The races are broadcast throughout the universe, especially in sport bars and in gambling clubs, such as the sports bar 79’s during the Clone Wars or the Outlander Club in the Uscru Entertainment District on Coruscant. Podracing has different kinds of classification circuits, including the Amateur Circuit or the professional Galactic Circuit. The sport was very popular on Malastare, where the Dug and the Gran could gain eternal glory by becoming Podracers. Another planet with a profound love for Podracing was Tatooine, where the Hutts controlled the gambling industry. It was the place of one of the largest and most spectacular races of the season: the Boonta Eve Classic. The Mos Espa Circuit was created around the plateau known as Ben’s Mesa and it featured one danger after another, such as the dark Laguna Caves, the curvy Arch Canyon, and even native Tusken Raiders who tried to shoot down Podracers. 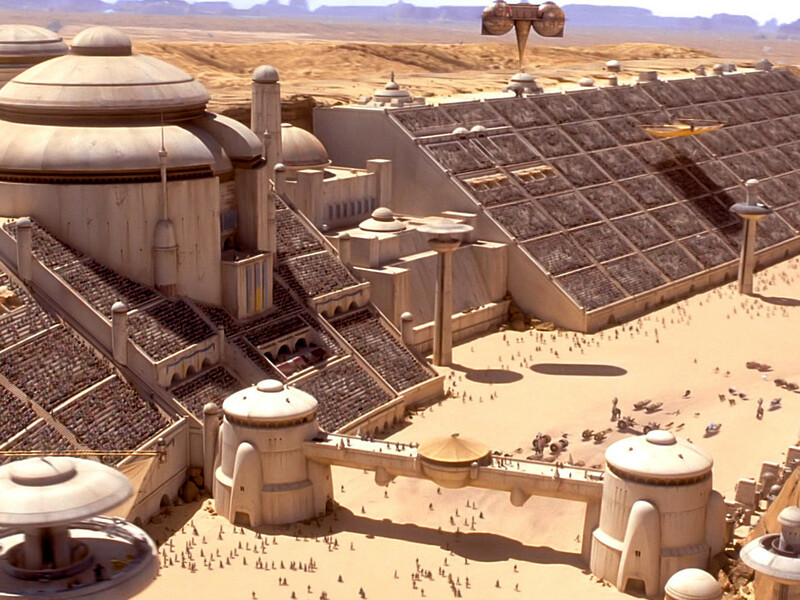 The majestic Mos Espa Grand Arena could house 100,000 visitors from around the galaxy who gather on Boonta Eve to watch their heroes compete for an everlasting place in the Podracing annals. A very peculiar race took place in 32 BBY. That Boonta Eve Classic was won by a nine-year-old boy named Anakin Skywalker, the first human ever to win a Podrace. Even as a Jedi Knight, Anakin didn’t forget his Podracing days, and kept a Podracing poster in his private quarters at the Jedi Temple. Despite its massive popularity on more outlawed worlds and regions, Podracing has always been a subject of discussion. Podracing was already banned on many civilized systems when it faced, more than ever, an uncertain future during the Separatist Crisis. 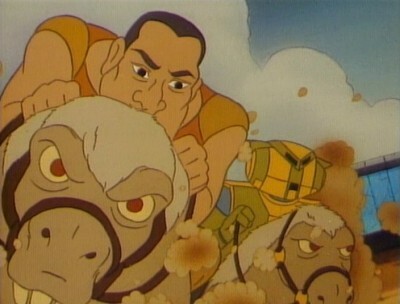 More and more criminal aspects of the sport were exposed and several famous Podracers were arrested for serious crimes. To make matters worse, Podracing became outlawed in the Core. The Ratts Tyerell Foundation, established by Deland Tyerell, the eldest son of the diseased Podracer Ratts, campaigned to ban the sport completely, right before the start of the Clone Wars. Reports showed that attendance had dropped more than 50 percent compared to 10 years prior. Though Podracing never completely ceased to exist, its popularity faded away. Swoop Racing kind of replaced Podracing, although the sport has been practiced for centuries, even during the time of the Mandalorian Wars. It’s held on circuits, though the sport is considered less dangerous than Podracing. The tracks aren’t as complicated and the risk of grave injuries isn’t as high. 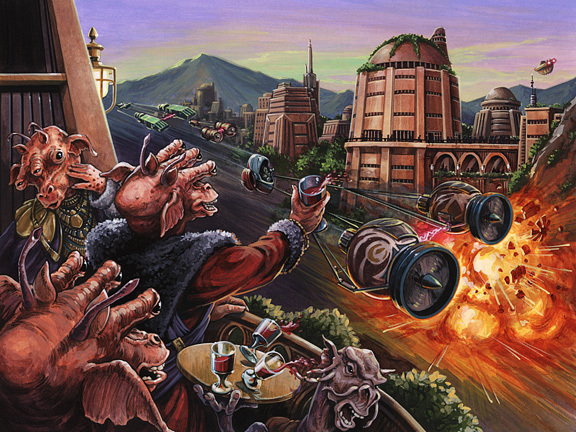 The former Podrace industry had no choice but to embrace swoops instead of Podracers. The Mos Espa Grand Arena was transformed into a Swoop Arena, but its glorious days during the Boonta Eve were gone forever. The fact that humans are able to participate at Swoop Racing also helps its popularity during the New Order. Some famous human Swoop jockeys are Ignar Ominaz, Serji-X Arrogantus and Dengar. Extremely dangerous and illegal circuits, such as the Dragonbane Circuit in the crystal swamps of Agrilat on Corellia, are reminiscent of the bygone days of Podracing. A young Han Solo was no stranger at participating in illegal Swoop Races. 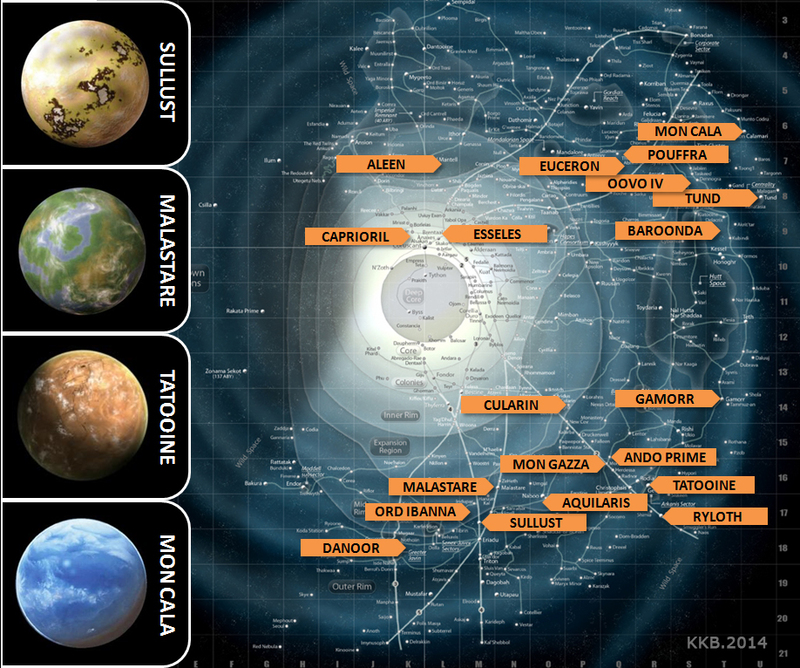 Boonta (originally called Ko Vari) is a planet in the vicinity of Hutt Space. 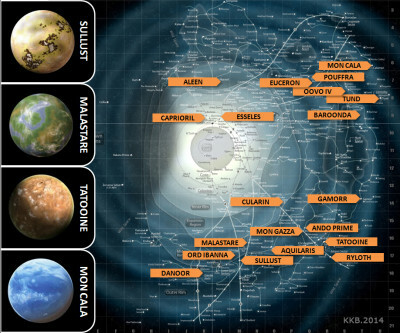 It’s one of three planets (the others being Tatooine and Arami) where Boonta Races are organized to honor the ascendance to godhood of Boonta Hestilic Shad’ruu. The Boonta Speeder Races attracts many spectators and tourists. The races have fascinated humans for a long time, so Yenchara the Hutt realized that the Desilijic Kajidic could profit when he would allow humans to compete in the races. 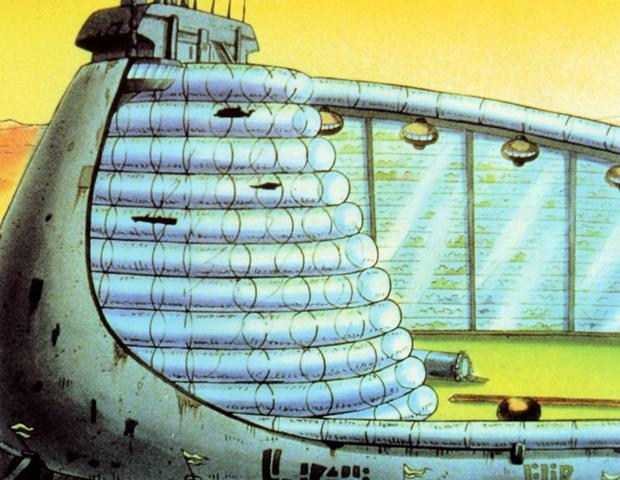 Upgraded landspeeders compete against each other in a large, oval transparisteel circuit. Around the tunnels, spectators can watch the race in the stadium or in private viewing pods for important guests. In 15 BBY, the White Witch of the Joben-Dusat Racing Team defeated Boba Fett’s Silver Speeder in this race. R2-D2 and C-3PO were both members of the Joben-Duast Racing Team at that time. 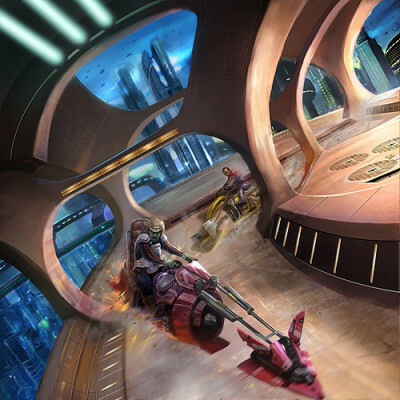 With the ongoing success of the Boonta Speeder Races, Boonta became a hotbed for extreme sports, such as the Zed’hoffa Orbital Diving Competition, held over Boonta’s Living Pits. 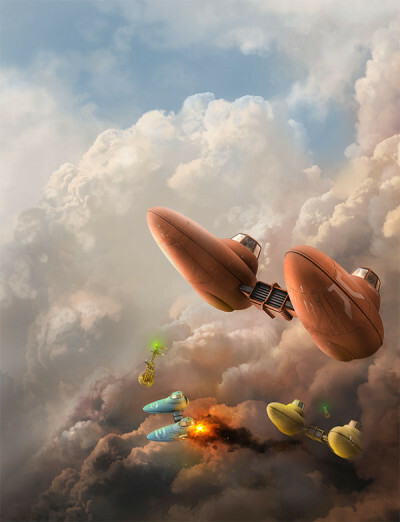 Another popular race is held annually among the enchanting clouds of Bespin: the Cloud City Grand Prix. 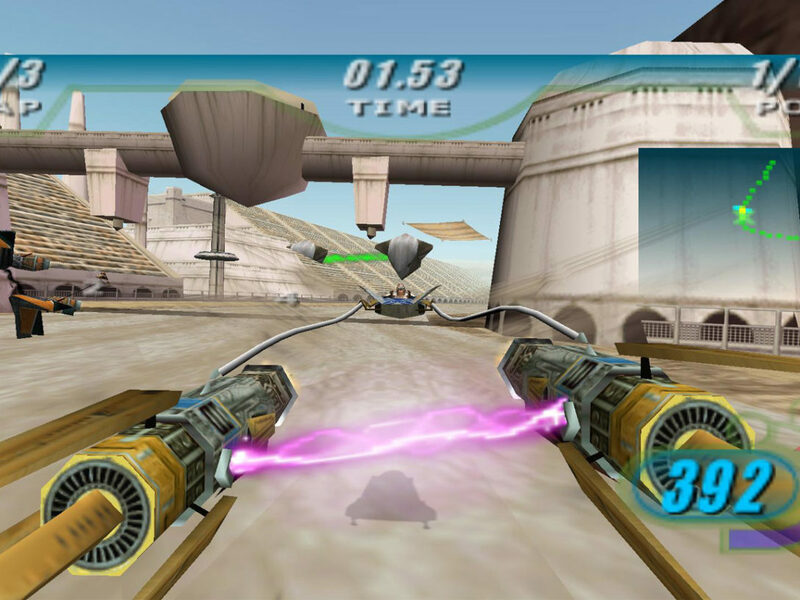 In this race the galaxy’s top airspeeder pilots are pitted against each other while racing the iconic cloud cars. Besides fortune and glory, winners can win VIP access to a grand gala and auction. Another world that takes advantage of its beauty to attract visitors to a race is Spira. This world is a popular vacation spot for the elite during the Republic and New Order. It’s renowned for its resorts on tropical islands in beautiful turquoise seas. With a constant pleasant climate and not many dangerous indigenous animals roaming the waters, Spira is the ideal place to hold the annual Regatta Open. Each race starts in the Ataria Island harbor, after the yachts have been inspected by race officials. Every vessel then leaves individually, passing the judging pavilion (at 15-minute intervals) for a race that can take up to 10 days. Chase hoppers and orbital satellites track the yachts during the race. The regatta goes in a full circle around the planet, passing locations such as The Point (a particular difficult bit to navigate, where two major ocean currents meet) and the wreck of an ancient alien spaceship that crashed on Spira a very long time ago. Aneash Maglea is the reigning champion during the Empire’s New Order and during the 345th edition of the regatta, rebel spies used the race to recover supplies that had been dumped in the planet’s ocean. With all vehicular racing it’s impportant to combine a good strategy with a well-maintained and customized vehicle. Sometimes the difference can be made by the pit crew that comes up with the latest modifications that gives the Podracer, speeder, yacht, or swoop the edge to win. Pit crews exist of skilled organic mechanics and or specialized Pit Droids, such as the DUM and Otoga-222 series. But racing is not just done with vehicles. 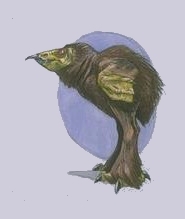 Ever since the dawn of time, beings of all sizes and shapes used their body to move as fast as possible, whether it was on two legs, 14 legs, or no legs at all. An event that pits athletes together in various categories on Teyr is the “Mobquet Presents: Fastest Land Beings,” ironically sponsored by the Mobquet Swoop and Speeders company. Perhaps the most bizarre racing event can be seen on the planet Umgul where they hold blob races, which are also very popular at the bookmakers. In these races, the protoplasmic, gelatinous Umgullian blobs ooze, slither, or roll through various obstacles in a weird kind of steeplechase. Racing tracks include The Fondine Blob Raceways and the Dack Track. Another form of racing is performed by animals. 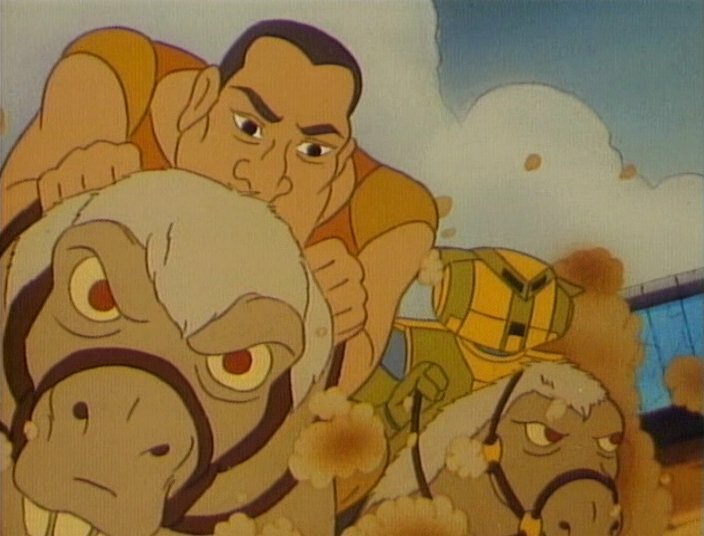 They have Ronto Racing on the Core World of Nubia, where these beasts of burden are pitted with their riders against each other in events like the Tallera Open and on the most famous track known as the Tallera Downs. Naboo is known for its Odupiendo Racing tracks where the Odupiendo, a flightless bird-like creature, races against each other along a circular track. Fast-moving and always spectacular, this is a favorite betting sport in gambling places like the Outlander Club on Coruscant. The Boonta Speeder Race isn’t the only race that involved the participation of R2-D2 and C-3PO. C-3PO became a contestant in the Drainsweeper Race on Roon during the Roon Colonial Games in 15 BBY. These games are held in the city of Nunurra with teams and athletes from different regions and provinces. The Roon Colonial Games are very important and influential, since Governor Bisad Koong hoped that defeating the rebellious Umboo Team would finally help him to secure control over their province. The Drainsweeper Race is the most dangerous of all disciplines. It’s a race on Rockhoppers in which the teams need to pass a baton to the next team member. A pit, where contestants can push each other in, is situated in the center of the circuit. A technician makes sure that gravity will catch every contestant at the bottom of the pit before he, she, or it crashes. Auren Yomm, C-3PO and Mungo Baobab formed the winning Umboo Racing Team, replacing Auren’s unfortunate teammates BIX and Gee Long. Special thanks to Leland Chee for allowing us to expand on Odupiendo Racing and pointing us to the concept artwork. Thanks to Kevin Beentjes for adapting the podrace map. Tim Veekhoven (Sompeetalay) from Belgium does research for the Rogues Gallery feature in Star Wars Insider under the supervision of Leland Chee. He’s president and co-founder of TeeKay-421, the Belgian Star Wars Fanclub, he’s an administrator for Yodapedia, and has written four back stories for “What’s the Story?”. Sander de Lange (Exar Xan) from the Netherlands does research for the Rogues Gallery feature in Star Wars Insider under the supervision of Leland Chee. He is an editor for TeeKay-421, the Belgian Star Wars Fanclub, he’s an administrator for the Star Wars Sourcebooks page on Facebook and has written the backstory for Niai Fieso through “What’s the Story?”.